With over 25 years of trading under our belt, we’re the perfect solution for skip hire in Wimbledon SW19. Metro Waste are based in South West London so we’re the perfect choice if you need to hire a skip in Wimbledon SW19. We have a range of sizes to choose from and can often provide a same-day service for your home or business. We’ve been trading for over 25 years and we’re not an agency so there’s no hefty commission to be added to our prices. Why not save yourself the hassle of hunting around for a reliable skip hire service and simply book directly with us instead? We’re London’s leading skip hire company and offer great prices for one-off domestic skip hire projects and we also cater for larger corporate rolling contracts. Big or small, we’ve seen it all so get in touch today to find out what type of skip is right for your Wimbledon project. If you’re not sure what size you’ll need or would like more information about whether you’ll need a skip permit, our friendly office team are always on hand to give you free, impartial advice. Maybe your home needs de-cluttering or the garage or loft needs a clearout. Perhaps you’ve just fitted a new kitchen or bathroom and need to get rid of the old one. Perhaps you’ve decided to spruce up the garden or demolish that old shed to make space for a new one. Whatever the reason, you’ll need to get rid of all that unwanted waste at some point and that’s when it’s time to call in the professionals. Quite often, different types of waste require a different size of skip; for example, if you’re knocking down walls and digging up soil or old concrete, there are weight limits that need to be adhered to otherwise our trucks will be unable to lift an overloaded skip off the ground. So, if you’ve never hired a skip in Wimbledon before, don’t worry as our staff will be happy to give you expert advice on the size of skip you’ll need, depending on the types of items you’re getting rid of. Is your business having a refit or do you have an ongoing waste stream that needs clearing regularly? Have you just taken over a shop or office and are looking at giving it a makeover? Our professional skip service provides a fast and convenient way of getting rid of all that unnecessary junk. It doesn’t matter if you run a small shop, a busy restaurant or a large factory, we’ve seen it all so get in touch to discuss our great trade rates. 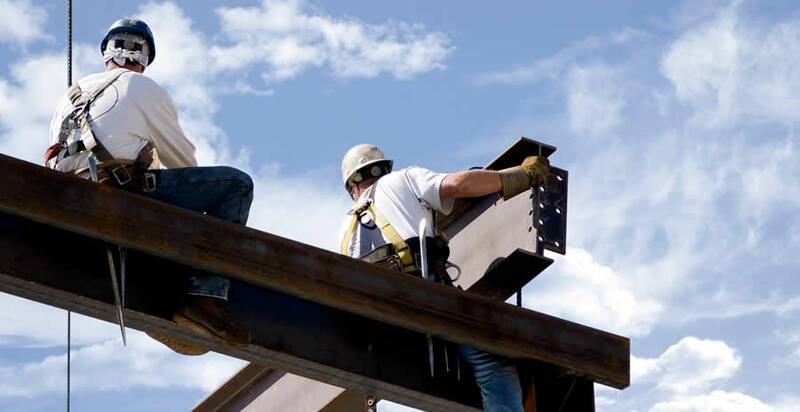 If you’re a local builder in Wimbledon and need a reliable skip hire service, we can offer you great trade rates, so why not get in touch to discuss setting up an account for an ongoing, professional service. Are you a property developer in Wimbledon SW19 that needs your site kept clear and free from debris? If you are, then you’ll no doubt want to deal with a local company with a proven track record. We take the stress and worry out of the equation so you have more time to deal with keeping your Wimbledon building project on schedule. 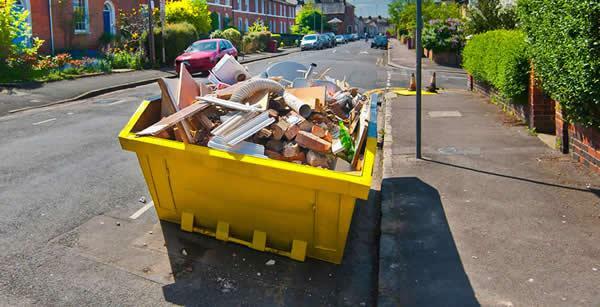 We can provide a one-off skip or arrange for regular collections and deliveries for larger building sites. If any of the above scenarios apply to you, get in touch with Metro Waste to see how we can help you clear away your waste with our fast and efficient skip hire service in Wimbledon, South West London SW19. We also serve nearby locations including Putney, Roehampton, Raynes Park, Colliers Wood, Merton Park, Merton Abbey, Southfields, Richmond, Morden, Twickenham and Wandsworth. There are times a skip just isn’t suitable for the job. Our Wimbledon rubbish removal service is a great alternative With a huge capacity of 13.6 cubic metres, our tipper trucks are able to remove either full or part loads, so you’ll only pay for the amount of rubbish that’s being cleared. We’re fully insured and are a Licensed Waste Carrier with the Environment Agency. Wimbledon is home to the world-famous tennis competition. Up to 40,000 tennis balls are used during the tournament, each one hand-tested for weight, bounce and compression and stored at exactly 68F. If you’d like more interesting facts like this one, have a read of this article. The village of Wimbledon was referred to as “Wimbedounyng” in a charter signed by King Edgar the Peaceful in 967 AD. The name Wimbledon actually means “Wynnman’s hill” as the last part of the name (hill) is “dun” in Celtic. The name appears on J Cary’s map of London in 1786 as “Wimbleton” and it may surprise you to know that the modern spelling ‘Wimbledon’ was only settled on fairly recently during the 1800s.